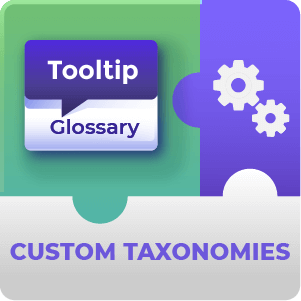 Improve your glossary accessibility by adding a floating widget to the bottom of your website and letting your users easily search your Glossary terms and content. 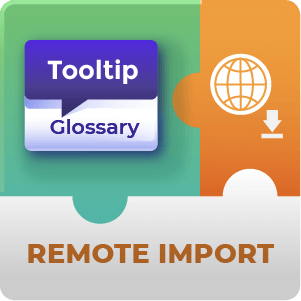 This floating glossary widget includes automatic suggestions for related glossary terms. WordPress Tooltip Glossary Search Console Widget is an add-on that lets you place a floating search bar widget at the bottom of your website and let your users easily search your Glossary terms. 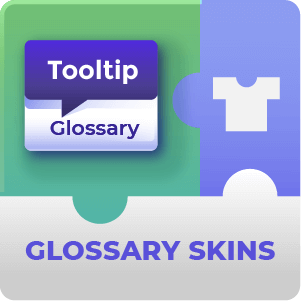 The glossary search bar widget includes automatic suggestions engine for related glossary terms. Suggestion are showing up once users start typing the initial characters into the search widget. 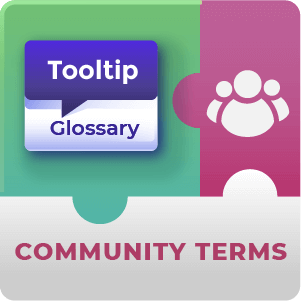 This demo shows the glossary search widget which appears on the bottom left corner of the website. 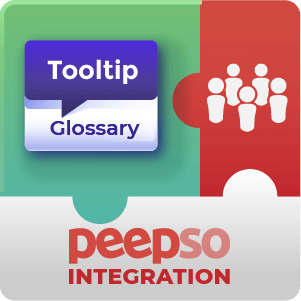 Once starting to type the search query, the widget will suggest terms found in the site glossary. Clicking on one of the suggested terms will take you to the term page. What is the difference between the built in search feature and the Search Console search? For Glossary Pro users there is no search feature built into the Plugin, the Search console add-on provides a way for them to allow users to search the glossary. For Pro+ users the difference is that the Search console search box positioning is more flexible than the stock search box and remains floating in the corner of the screen as you scroll. It is possible to have both or to replace the stock one with the search console widget. As well as this the Search console widget also offers live search and offers results as you type which the default search box does not. 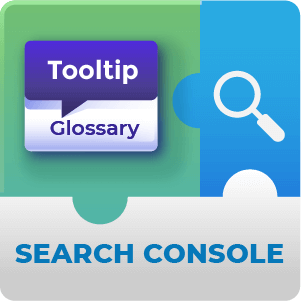 To learn more about the search console’s features see this Help article. Where in the browser window does the Search Console widget appear? You can choose between placing the widget in either the bottom right or bottom left of the window. To learn more about the search console placement see this Help article. Does this Search Console plugin have Auto-Complete? Yes. There is live search / autocomplete functionality built into the Search Console add-on. How can I change the appearance of the Search console to fit in more with my site? 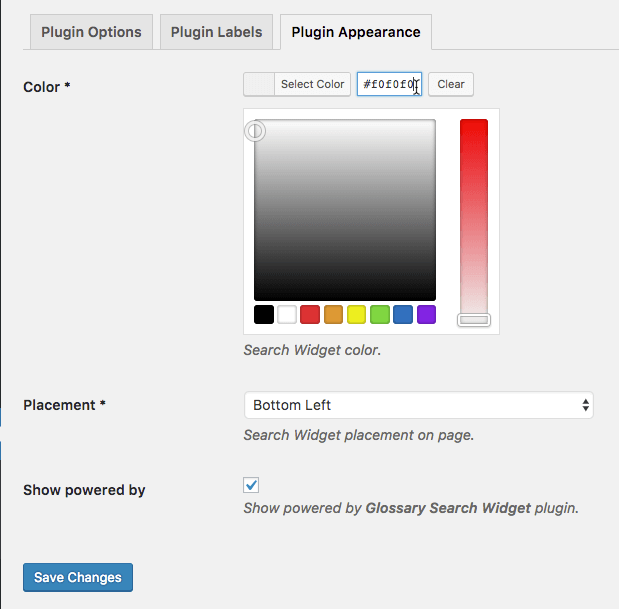 Within the add-on settings there is a tab for modifying the appearance of the widget. You can change the color with a color picker or enter a hexadecimal color code. Here it is also possible to change the position of the search console on the screen and toggle whether or not the Powered By text will appear. To learn more about this appearance settings this Help article. In what order are the results displayed for a search? Results are displayed in alphabetical ascending order based on title. How many results are displayed for a Search? 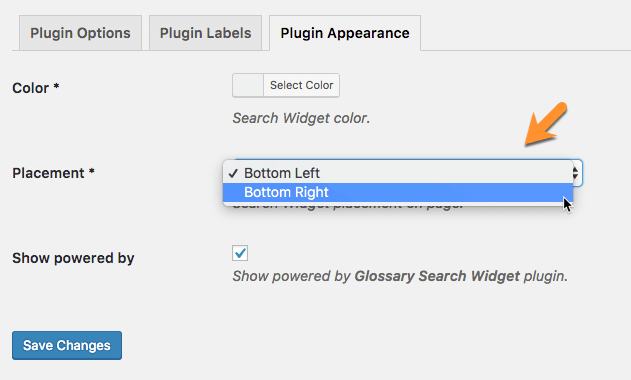 As many as you like, by default the plugin displays up to 10 results for a search. However, this can be increased or decreased through the admin panel settings. 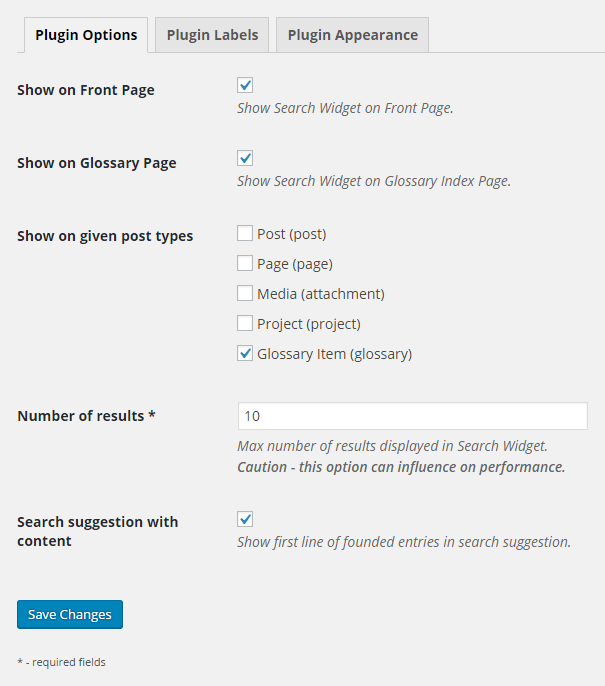 To learn more about setting the number of results displayed see this Help article. 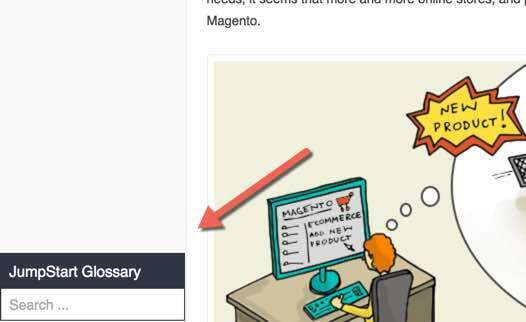 Can this search console widget be displayed on Custom Post types? Yes. Custom post types will appear in the list of Page / Post types that you can display the search console on within the plugin settings. To learn more about this see the Help article.